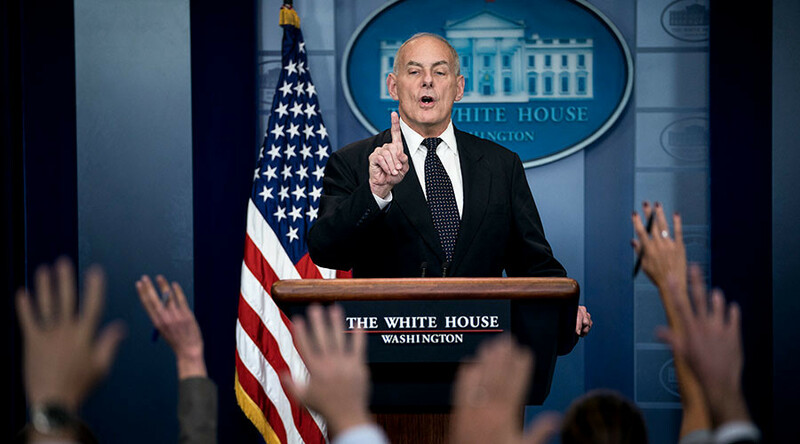 White House chief of staff John Kelly took another turn at the press podium to deliver a scathing critique of the lawmaker who listened in on President Donald Trump’s condolence call to a fallen soldier’s wife and the media treatment of it. “I was stunned when I came to work yesterday morning, and broken-hearted, at what I saw a member of Congress doing,” Kelly told the White House press corps on Thursday. He was referring to the war of words involving Trump and Congresswoman Frederica Wilson (D-Florida), who told the press about eavesdropping on the president’s call to the family of La David Johnson, an Army Special Forces sergeant recently killed in Niger. 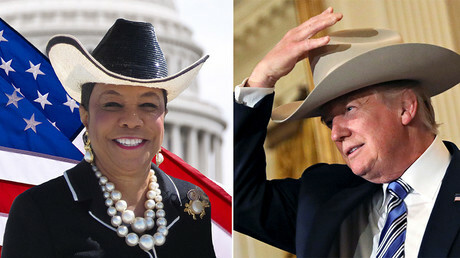 According to Wilson, who listened to the conversation on the speakerphone, Trump told Johnson’s pregnant wife that her husband “knew what he signed up for.” Media reports on Wednesday condemned the remark as disrespectful. A retired US Marine Corps general, who lost a son in Afghanistan in 2010, Kelly told reporters about the process of bringing back dead soldiers to the US for burial and the White House process of expressing condolences. Kelly said he personally advised Trump against making the condolence calls, as it is one of the most difficult things anyone can do. Upon hearing that Kelly did not receive a condolence call from President Barack Obama, however, Trump made up his mind and asked for advice how to proceed. That was the message Trump communicated to Sergeant Johnson’s widow, Kelly said. He answered only a few questions from the press corps afterward, limiting them to reporters who were either related to, or knew someone who had died in military service.